MBA Pierce Celebrates 21st Annual Remodeling Excellence (REX) Awards - Master Builders Association of Pierce County, WA ? • Aesthetics—Is the project visually appealing? • Special or unique design solutions—Does the project reflect optimal space planning and livability? • Quality workmanship—Does the project exhibit special crafting or exceptional features? • Use of appropriate building material—Does the project complement existing structure and design? • Budgetary consideration—How did the remodeler successfully utilize solutions to budgetary constraints? • Challenges and obstacles—Did the remodeler overcome unique challenges in completing the project? The awards ceremony took place at Tin Can Alley, the new events venue by PJ Hummel. There was a pre-dinner showcase where attendees could look at all the entries and submit their ballot for the "People's Choice Awards." York Enterprises sponsored the professional photography for the evening by Matt Francis of Open Door Productions. You can view the photo gallery and purchase prints here. 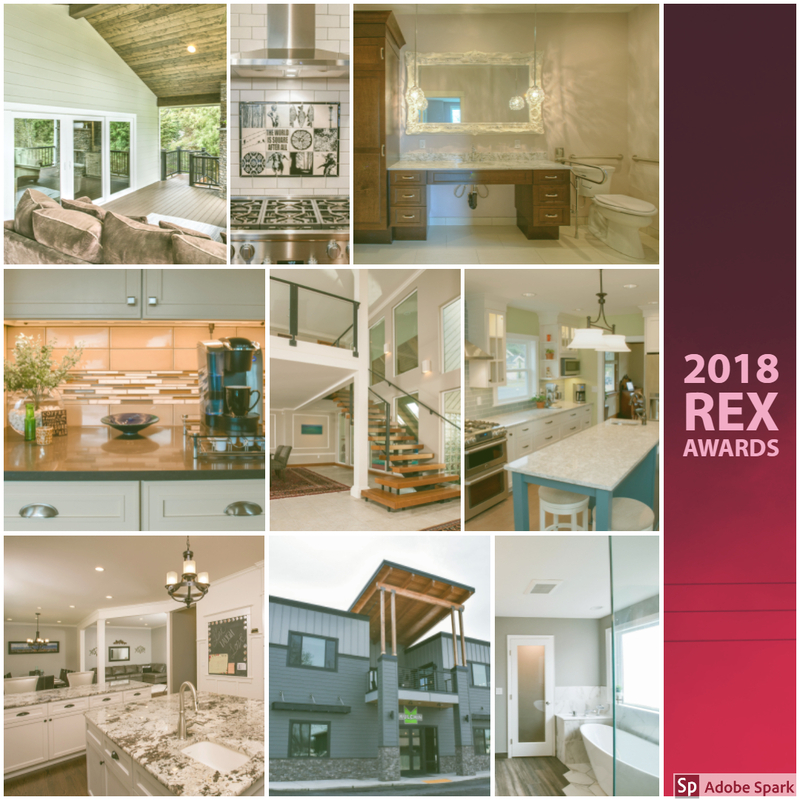 "I would like to congratulate all of the 2018 winners of the Remodeling Excellence award for Pierce County. You have once again shown that you are able to create beauty and happy clients, while maintaining the high ethical standards necessary to be a Master Builder member. Thank you for your dedication to our industry, " said Clifford Kendall of Wren & Willow, 2018 MBA Pierce President. Kitchen Over $125,000 Phase II General Contractor, Inc.
Bath $25,000-$40,000 Phase II General Contractor, Inc.
Bath $40,000-$75,000 Phase II General Contractor, Inc.
Bath Over $75,000 Phase II General Contractor, Inc. Entire House Over $500,000 Mike Schwartz Construction, Inc.
Get Away Room Phase II General Contractor, Inc.